A peaceful summer night is shattered by gunfire as an unseen assailant tries to murder police officer John Busby. Though horribly wounded, Busby survives. But the perpetrator remains at learge, meaning Busby and his family remain in danger. 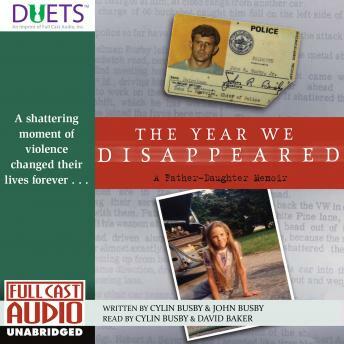 In alternating chapters, John Busby and his daughter, Cylin, tell the harrowing true story of the year that followed - John from his perspective as parent, Cylin from the point of view of the nine-year-old child that she was. Together father and daughter craft an unforgettable picture of fear, of police corruption, and of a malignant thugh who no one dares to cross. Yet their story is also one of redemption and recovery, and ultimately of hope and healing.